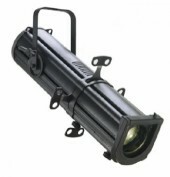 ProDesign offers a range of lighting and associated products for sale. We will only recommend and sell products that we use or would be happy to use. Our range of goods can be viewed in our product library, if you cannot find what you are looking for, please feel free to contact us. "Kevin coordinated our wedding and did an absolutely outstanding job! His calm yet professional demeanour, technical skill and extreme attention to detail make an amazing combination. I was lost for words when I walked in to see the amazing scene"